Three New Canaan YMCA Aquianas athletes recently achieved the distinction of being chosen for the 2015-2016 US National Team for Synchronized Swimming. Only 12 swimmers are selected nationwide for each age group team. Emma Tchakmakjian and Katherine Connolly made the National Team in the 13-15 age group, while Olivia Li was selected to the 12 and under age group. The three swimmers will train this summer and represent the USA as they travel and compete at international events such as the Pan American Championships. The National Team selections were announced at the conclusion of the 2015 US National Synchronized Swimming Championships, held Mar. 31 through Apr. 4 in Moraga, CA. Two New Canaan YMCA squads competed at the Moraga meet, which brings together top high school and college teams from across the country. The Aquianas' 13-15 Age Group team achieved sixth place in the team routine (with Darien swimmer Eliza Wetmore) and third place in the combo routine (with Darien swimmers, Wetmore and Katie Chidley), and the Junior team earned fifth place in their team routine (with Darien swimmers Alice Chidley, Katie Chidley and Camilla Kline) and third in the combo slot (with Darien's Alice Chidley and Kline). The Aquianas also had strong performances in the solo and duet portions of the meet, with Tchakmakjian's solo earning seventh place and Connolly's earning eighth. Soloist Rene Collett swam to eighth place in the Senior division. In the 13-15 duet competition, Connolly and partner Katie Chidley (of Darien) placed 6th, and Tchakmakjian and partner Audrey Millar came in at 13th. "To see our swimmers make it to the top of their sport at the national level is very gratifying, and a testament to the hard work of the girls and the entire coaching staff," coach Jen Muzyk said. 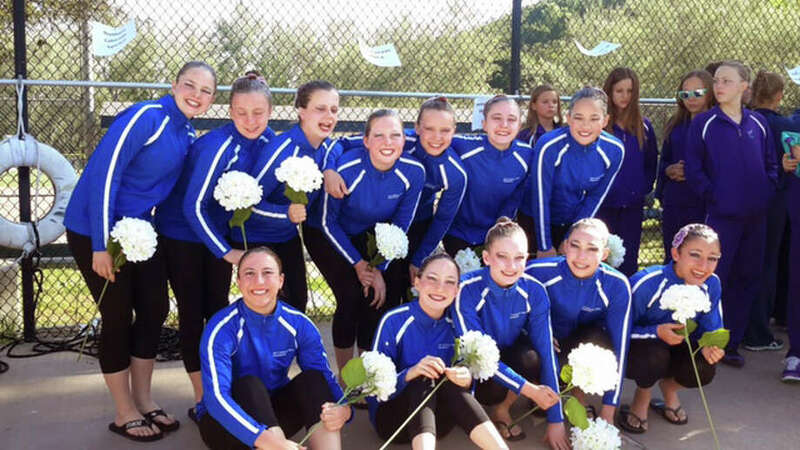 For more information about New Canaan Synchronized Swimming team, contact Muzyk at Jmuzyk@newcanaanymca.org.